Join the free trolleybus image campaign "ebus - the smart way!" 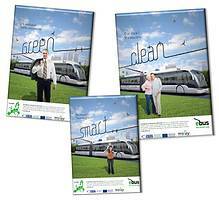 The free print campaign "ebus - the smart way!" has been created to promote trolleybuses as smart, clean and green solution for urban public transportation of the future. The e-bus campaign consists of promotional material such as billboards, posters, or swing cards. The trolleybus cities of Eberswalde in Germany, Szeged in Hungary, Brno in the Czech Republic, Gdynia in Poland, and Parma in Italy will run the campaign in 2012. Salzburg already ran it in 2011. 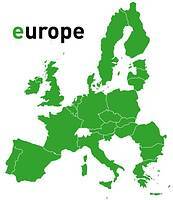 Other cities in Europe are now invited to follow and to shape a new and more positive image of trolleybuses in Europe. You will be able to use the designed promotional material shown in the above document free of charge and adapt it to your local corporate identity in order to give it your relevant local touch. If you are interested in joining our initiative and would like to raise the awareness for trolleybuses as a clean, electricity-based public transport mode in your city, please contact us (by email or via phone +43-662-8884-6163), and we will provide you with the whole design package and more information. We hope to establish this initiative on a broad basis to promote trolleybuses and to show decision-makers of the transport sector and citizens their vast potential to transform transport systems from “fossil mobility” towards “electromobility”.